The goal of the short-term mission is always long-term impact on a variety of different levels. Before you go on a short-term mission trip, one of the most important questions to ask is “What is the purpose of a short-term mission trip?” This question shouldn’t be posed with tones of rebellion, but tones of genuine inquiring. If we know anything about the Kingdom, life, and reality (in general), it is that good things take time. With that question in mind, let me give you a seven year report on the effects of short-term missions. I want to give you a glimpse of what we have been able to accomplish since that first trip in 2011. We have purchased and distributed more than 70,000 pounds of food. At every village visited, we hold a service to share the love of God with women, men, and children. At the end of the service, each family leaves with a bag of groceries containing rice, beans, sugar, lard, spaghetti and tomato paste - staples in the community. We have built four churches where pastors have been discipled and raised up to minister in those communities which are so far for people to travel. We have built four more churches for other denominations. We have ordained more than 40 pastors. We have held marriage conferences, singles conferences, youth conferences, and leadership conferences. We were able to equip leaders of the local church in Zambrano with establishment of what they call “Houses of Love”. These houses are where a weekly assembling together takes place with worship and teaching. This is the place the leaders of the church in Zambrano encourage everyone to bring their friends and family who may be new to the Faith. God has somehow supernaturally connected us with this nation. 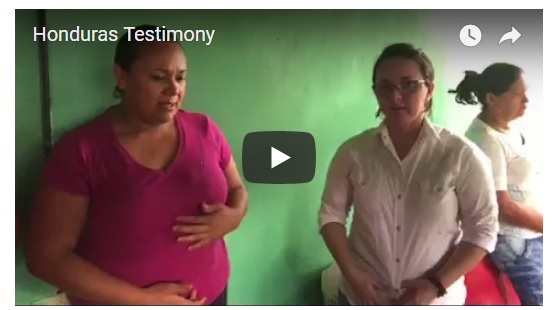 We have other church connections in Honduras with schools, orphanages and medical clinics that we help fund. With a microloan program, we have helped people purchase coffee farms and actually export from Honduras all the coffee we serve at our home church - all this while paying all the workers’ wages. Think of it this way: for every $1.00 cup of coffee you buy, someone gets clean drinking water for a year. I lift up my eyes to the mountains— where does my help come from? My help comes from the Lord, the Maker of heaven and earth. He will not let your foot slip—he who watches over you will not slumber; indeed, he who watches over Israel will neither slumber nor sleep. The Lord watches over you— the Lord is your shade at your right hand; the sun will not harm you by day, nor the moon by night. The Lord will keep you from all harm— he will watch over your life; the Lord will watch over your coming and going both now and forevermore. Have you ever read that verse? This is not just some verse for these communities; it is a reality. They have to depend on God to be their help, their protection, and their shade. When missionaries show up, the Hondurans are so happy! They have been praying for God to help them and then, out of the mountains, a van pulls up with food telling them that Jesus loves them and that He sent us to them. They don’t just read this scripture-they really believe what it says- and to them, it’s life or death. We just returned from another trip this past month where seven pastors preached at 16 churches in just five days. We saw signs and wonders at each place we visited; however, at one village church we saw the power of the short-term mission experience. A small village church had just begun their worship music and singing when some children on the street ran down to another house to ask their mother if she would come with them and see what was happening. She had never been to church before, but, because her daughter wanted to go, the family came up the steps and made their way to the back of the room. Check out what happened next! Was it just a coincidence that we showed up to her village that day? I don't think so. I would like to think that God knew exactly what this woman needed and orchestrated all the events to bring this team to her country so on this day she could receive freedom! 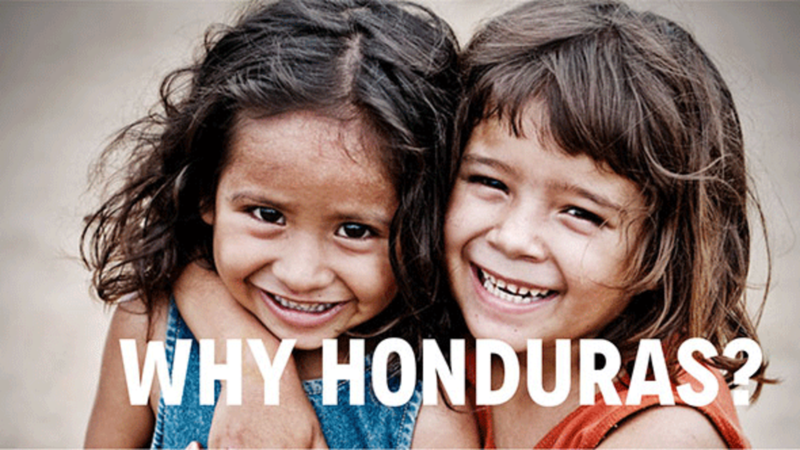 Maybe a trip to Honduras does not appeal to you. We have places all over the world and locally where you can serve the Kingdom in any capacity. Thankfully, the Kingdom of God has no understanding of geographical borders. Short-term missions are not just a way for Christians in first-world countries to open their eyes to the problems our brothers and sisters face in third-world nations; short-term missions, in this context, just so happens to be the term we use to describe the frequent visits to our mutual brothers and sisters in a different part of the world. I heard David Hogan speak last year at a small church in Alabama. If you don't know who that is, just YouTube his name. His ministry has participated in more than 200 miracles where people were raised from the dead! He shared a story at this little church of a handwritten letter from a little boy who attended one of his services and felt like his life was saved because of the ministry that happened there. Mr. Hogan encouraged us that somewhere in the world there is a letter like that waiting to be written to me, or to you. For more information about our ministry, please visit www.project58.com or email me to register for the next trip to Honduras on October 18, 2018.